A renowned business group that emerged as successful builders and has been traveling in this victorious path since a decade. Besides promoting many prestigious residential apartments and complex projects, we ventured into hotels in January 2009 under the parent and flagship company Balachandra Hotels Pvt. Ltd., built over the years for the assured and sustained commitment to quality and exceptional guest services. 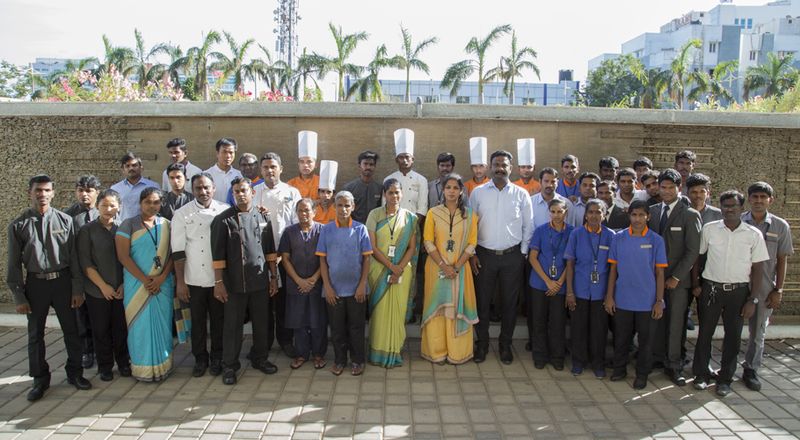 Committed to personifying indulgent hospitality care at its best, where the staff are well trained and groomed, generating a warm and friendly service. Notable for the modernized facilities, health focused cuisine and guest rooms that are spacious and inviting. The CentrePoint - a classified THREE STAR lifestyle hotel, strategically and conveniently located in OMR, IT- Expressway with 30 well appointed rooms. The location gives you an easy access to all major commercial and industrial establishments in and around ECR, Inner ring Road and GST Road, besides OMR. Relaxing in the cool beauty of our ravishing hotel, you have a chance to spend your precious time with your family, loved ones or engage in a successful business meeting. Grab a chance for partying and celebration! Why wait to get an accommodation with us? Powered by Horizon Softnet Solutions.